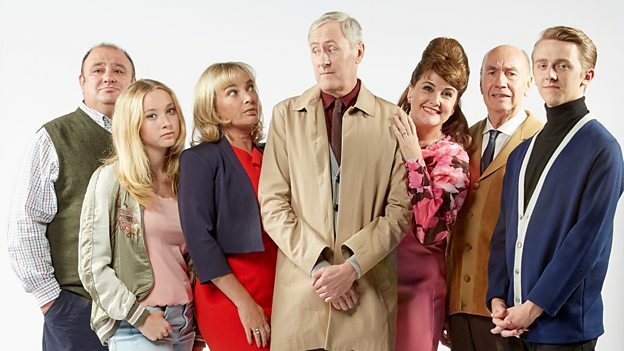 After a sensational recording of our new one-off Goodnight Sweetheart last weekend, we learned yesterday from the BBC that the programme is to be transmitted on Friday, September 2, at nine o’clock. So at last, after hundreds of emails from all over the world, asking us to bring back Gary Sparrow and the team, we have answered your call. Bringing him from 1962, the year in which Gary, Phoebe, their son Michael, and Reg Deadman live – 17 years since we last saw Gary stuck in 1945, was no easy feat. If he could manage to find an open time portal then where would he travel? Backwards or forwards? And how could we ever get that damn time portal to reopen? These and many more challenges were what faced us as we sat down to attempt to answer these questions, but then we remembered that Gary Sparrow was born in 1962, and the answer sort of fell into our laps. You will have to watch the episode to see what happens, but we can assure all the Sweeties among you, you won’t be disappointed. Certainly the hundreds who crowded into the BBC Salford Quays studio last Sunday night weren’t and we have received endless emails asking us what happens next? Well, if there is to be a next is down to those in charge at the BBC, but we think we better start to consider what we do with the Goodnight Sweetheart team should the call arrive.